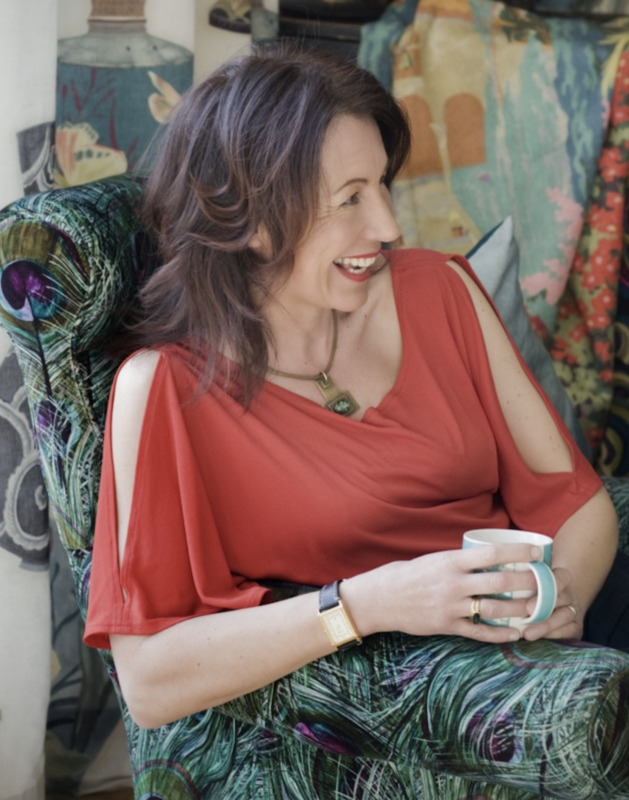 Jo Bound spent two decades working for other fabric companies and then as a color consultant in a fabric mill in Lancashire, England, before deciding that she wanted to push the boundaries of textile design in her own way. Taking cues from the landscapes of Surrey Hills, Lancashire and the Lake District, she paints colorfully rich palettes that conjure her surrounding environments. Informed by her knowledge of traditional textile techniques, she interprets her paintings using digital processing and experiments with different cloths until she finds the perfect combination to bring her paintings to life. At once abstract yet detailed, bold yet muted, free-flowing yet defined, Boeme’s fabrics are a contradiction of many splendors.